It is awesome when the moving pieces of separate sports technology companies’ like Deltatre and Opta Sports work together to create new tech above and beyond their previous versions. Such is the case for Sky Sports subscribers who are now able to navigate their way through important moments of a Heineken Cup rugby game accompanied by in-depth match statistics and analysis because of this sportsbiz partnership. Opta analyses, stores and distributes live sports data Internationally for Premier League soccer, Rugby Union and League, cricket and other sports, and competitions like the World Cup. Their clients include: Sky Sports, ESPN, Chelsea F.C., Manchester City F.C., William Hill, Major League Soccer (MLS), The Guardian and Castrol. 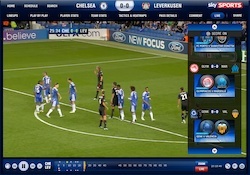 Opta’s time coded events data is now layered together with Deltatre’s DIVA (Data Integrated Video Application) match data and HD video, to give Sky Sports subscribers and mobile users a richer experience, and more user-guided options for engaging with rugby online, both live and archived on-demand. They have a downloadable mobile application that runs on most smartphones and some tablets like the iPad. Opta experts master the team rosters and thoroughly learn about each player so they can easily mark both the player and game action in DIVA using an X and Y coordinate, in real-time. In essence, they create a digital blueprint of the match. Specific positions and plays are given a time stamp that enables further analysis of statistics. The levels of detail they can drill down to while giving clients and fans the richest and fastest data feed on the market is an exciting package for broadcasters, sponsors and consumers. DIVA subscribers will like the ability to flick between games and watch multiple video events at the same time while being able to stay up with the key plays because of the extra layers of Opta data. A new Premium level for sports broadcasting has now been established. 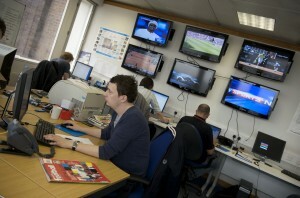 The Sky Sports Events Centre was made available to all Sky Sports and Sky Go (mobile) subscribers. Heineken Cup Rugby was the second sport who offered Events Centre and DIVA. In April, UEFA Champions League soccer became the first DIVA user. Deltatre is the official agency for collecting all in-game data for UEFA (and also FIFA). 3D Stereoscopic is a technology that is still on the fringe for the Sports Techie masses, however, the potential of it becoming an industry standard is very near. Deltatre has invested in the Microsoft and NVIDIA platform by offering to their clients this breakthrough new technology integrated into its digital media offering. DIVA 3D bring 3D stereoscopic productions and monetization opportunities to the web, maintaining all the other DIVA functionalities. Sky Sports’ subscribers now have complete control over how they experience football and rugby matches. At the click of a button or touch of a screen, viewers can navigate their way through all the best moments of a game or competition. With Opta Sports data integration, consulting player or match stats via TV graphs is ready for viewer’s enjoyment. 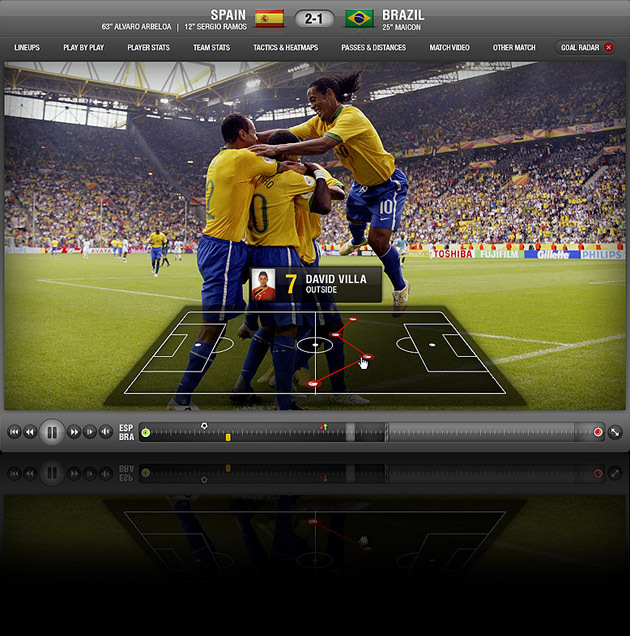 By using the DIVA PVR-type features, supporters can watch match related video and interact with other online soccer fans during a live competition. I spoke with Karl Hogan; account director at Opta Sports in Leeds, England, about their company and sports data services. This proved to be a real treat because Karl speaks an eloquent Sports Techie. His expertise about Opta Sports, and about what they now have to offer to online video rights holders and fans because of their integration with Deltatre, was spot on. Opta Sports was founded in 1996 from a merger between Opta Sportsdata and SportingStatz. They have a HQ in London and offices in Munich, Bassano del Grappa, Milan, Paris and Madrid. Opta data is used by the betting industry, print and online media such as editorials, sponsorship, broadcasting, and professional performance analysis. The gambling industry is paying Opta to be a check and balance for score verification. They also host historical data. Odds offerings require criteria levels that Opta is not able to always meet because the speed of data can at times have a 10-30 second lag which betting companies find too slow to work with. Opta Sports is not a heavy fantasy sports player, yet. Opta runs a Twitter feed which pushes out sports stats trivia here: http://twitter.com/OptaJoe. Learn more about Opta via this Youtube video – Sports Industry TV visits Opta Sports: http://www.youtube.com/watch?v=dv4tDn9Xb0M&feature=plcp&context=C322dbeeUDOEgsToPDskJVhvi9QJiB30RHVN2T0LcA. We all benefit by exciting technological integrations and sportsbiz synergy. Deltatre and Opta Sports certainly have achieved this kind of effort and relationship. I am happy to report that the Sky Sports online broadcast of Heineken Cup Rugby is second to take on the enriched DIVA. Who will be the third, and, will it be in 3D? Thank you to Deltatre and Opta Sports for the opportunity to blog about their impressive new sports technology venture and products.